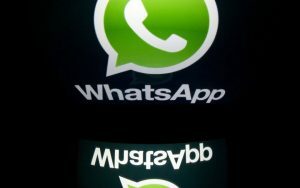 A former investment banker has been fined by the City watchdog for sharing messages on WhatsApp which contained confidential client information. Christopher Niehaus, an ex-anaging director at Jefferies, has been handed a £37,000 fine by the Financial Conduct Authority which said he wanted “to impress the people that he shared the information with”. The watchdog said he “received client confidential information during the course of his employment and, on a number of occasions between 24 January and 16 May 2016, shared that information with both a personal acquaintance and a friend, who was also a client of the firm”. In one of the instances where Mr Niehaus shared client confidential information with his friend, who was also a client of the firm, that information was about a competitor. Mr Niehaus used the instant messaging application “WhatsApp” to share this information,” said the FCA. The information shared included client identities, mandates and fees but the FCA said neither Niehaus nor any other individuals involved “dealt in any securities relating to these disclosures and it is accepted that this information was not shared by Mr Niehaus with that expectation”. The fine was reduced from more than £50,000 after a full admission and agreement to settle early on in the watchdog’s investigation by Niehaus, who left the bank before a disciplinary process was completed. A Jefferies spokesperson declined to comment.